Our practice was established in 1959 by Dr. Joseph Pozzi in Mattydale, NY. Dr. Pullano joined Dr. Pozzi’s practice in 1994 to form Pozzi and Pullano General Dentistry, LLP. 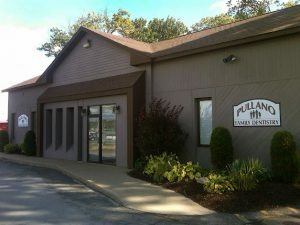 The Doctors practiced together for many years and converted the practice to Pullano Family Dentistry PLLC. In 2002 we moved our practice to a larger more convenient facility adjacent to Northern Lights Shopping Plaza. We continue to serve the community with the same personal, caring touch that has characterized our practice for over five decades. We are a conservative family practice and work hard to minimize invasive procedures. Our priority is to retain your natural teeth, whenever possible, and we will work with you to protect your natural smile. When this isn’t possible, we have a wide range of procedures to replace damaged and missing teeth to restore both proper function and esthetics. We work with all insurances, participate with several carriers and offer a wide range of payment options. In many cases, we can provide 0% financing* to assist you in meeting your financial obligations. We look forward to helping you and your family with all your dental needs. Please Contact Us today to arrange an appointment at your convenience. * Subject to approval with a third party health care lender.